Okinawa is located in the most Southern part of Japan. The tropical weather is one of the known characteristics of Okinawa. Surrounded by beautiful sea and carrying unique traditional costumes, Okinawa is one of the best holiday destinations in Asia. In this article, you can read about their original New Year ceremony and their marathon race. Shuri Kannon Dho was built in 1618, on Shuri Banzairei Hill. The principal object of worship at this temple is Sahasrabhuja ārya avalokiteśvara/Senjyu Kannon Bosatsu. This temple’s history started during the period of the Ryukyu Kingdom, when king’s son was taken by Satsuma (nowadays, Kyushu prefecture). The king made a proclamation that he would build a temple inside his castle if his son would return to him safely. His son returned to him safely therefore he built the temple as he promised. From 1645, he prayed for his kingdom’s safety at this temple every year. 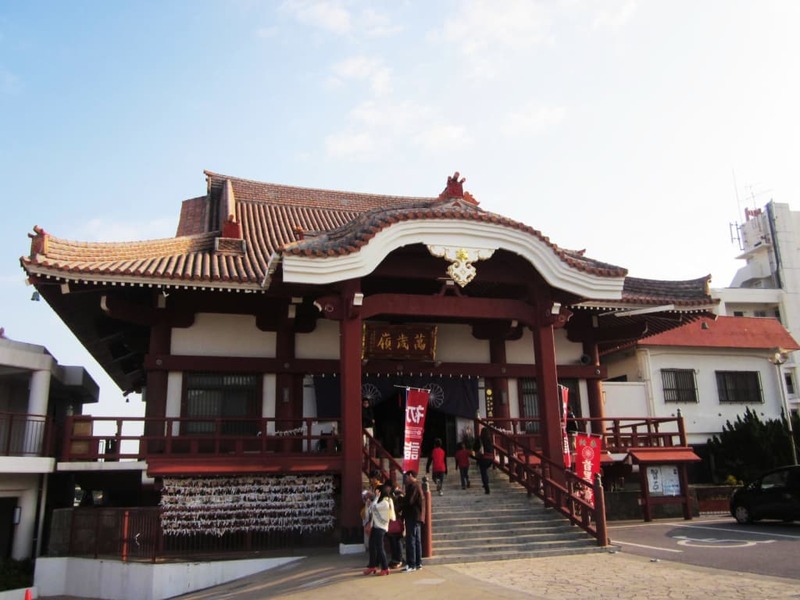 From the temple’s location Shuri Banzairei Hill (means proclaim ten thousand year rule for the king) you would be able to see the capital city Naha, their port, sea and sky. This hill is one of the eight best view spots of the Shuri Castle. Especially, you can see gorgeous sunset from here. The temple’s real name is Jigenin, their architecture is quite unique amongst other temples. Their New Year prayer attracts thirty thousand visitors to wish for a great year to come. Mid-sea road (KaichuDouro) is 4.7 km freeway between Yokatsuhanto and Henzajima. It’s a reclaimed road thus when you drive there you feel as if you are passing thorough in the middle of a sea. You would see breathtaking turquoise blue water in both sides. This road is also a major road connecting four islands; there is a service in the midway from islands. The Ayahashi Kan service would offer you many things; a parking area, a local information center, a traffic information center, shops, restaurants, toilets, showers so visitors can enjoy the beach. You can get their local products from their shops for souvenirs. You can see the beautiful first sunrise of a new year near this place. You can see a great view of a radiant ocean. Ishigaki Island is a tropical island which is about 410km away from the capital city Hana. 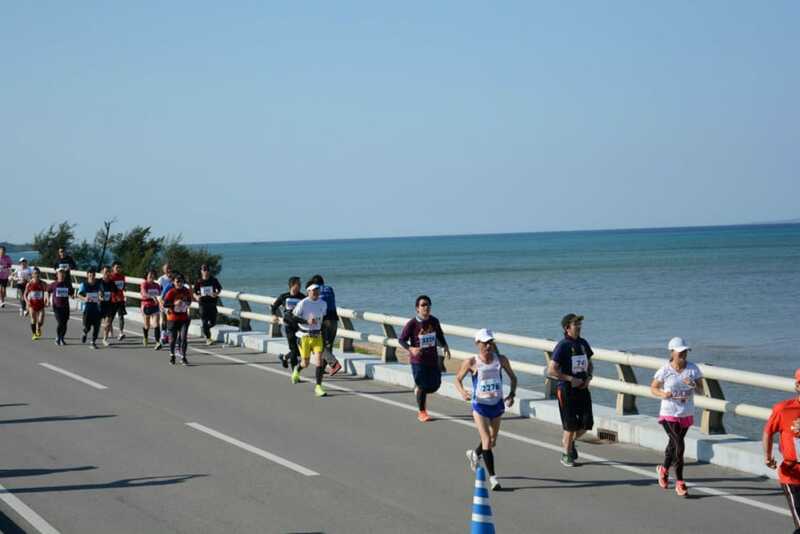 Ishigaki Island marathon is the most southern marathon race in Japan. Runners go around the island once. There are different courses: a full marathon course, 24km course and 10 km course so runners from all level can participate. This race attracts more female runners compare to other races in Japan. They start from Central Athletic Park (Cyuo Undou Kouen) and runners would run a course with views of a beach, a sugarcane farm, a pineapple farm and a dairy farm. Near the end of course, lots of audience would cheer runners in the city center and they would finish their course at the same place they start.